Just like many other SUVs on sale today, the X5’s birth was a result of the SUV boom in the late 1990s. When BMW acquired Land Rover in 1994, it commenced development on their own SUV. BMW looked at the Land Rover Range Rover’s technology which was incorporated during the X5’s development. 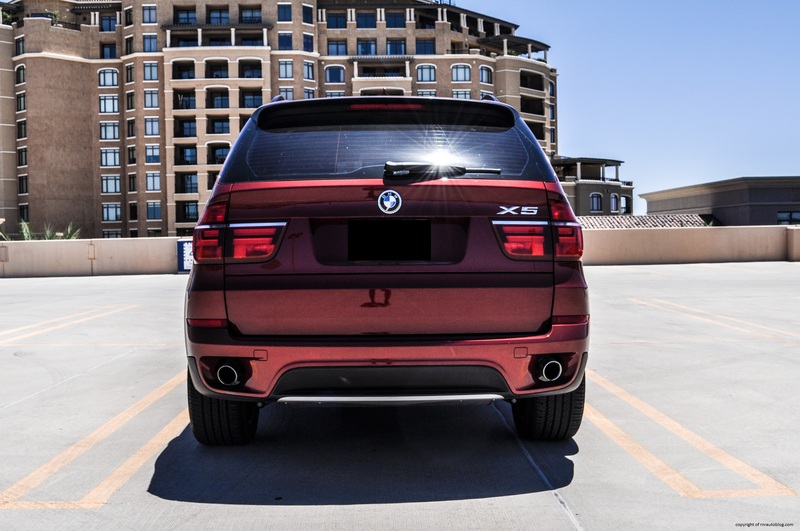 In fact, the first generation X5 utilized a split rear liftgate similar to the Range Rover’s as well as shared its technology and electronics. The rest of the X5 was taken from the 5 Series sedan. 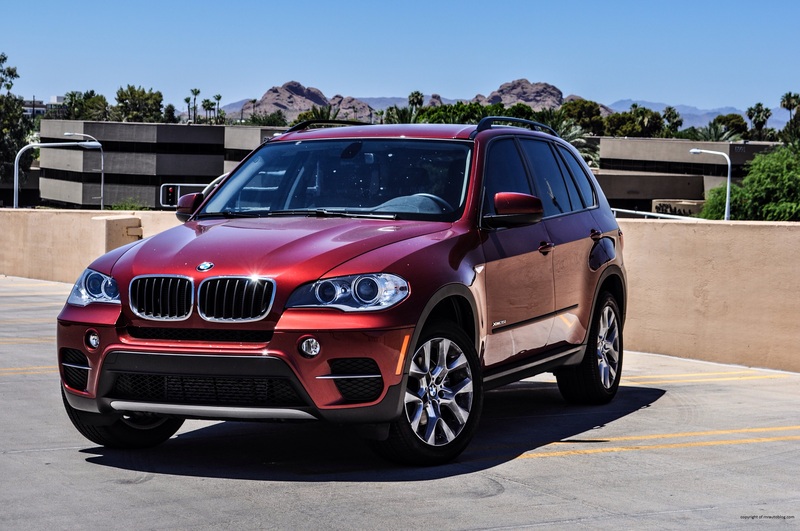 Unlike other SUVs which boasted their off road prowess, the X5 placed emphasis on its on road ability with claims of carlike handling and comfort. BMW dubbed the X5 as a Sport Activity Vehicle (SAV). 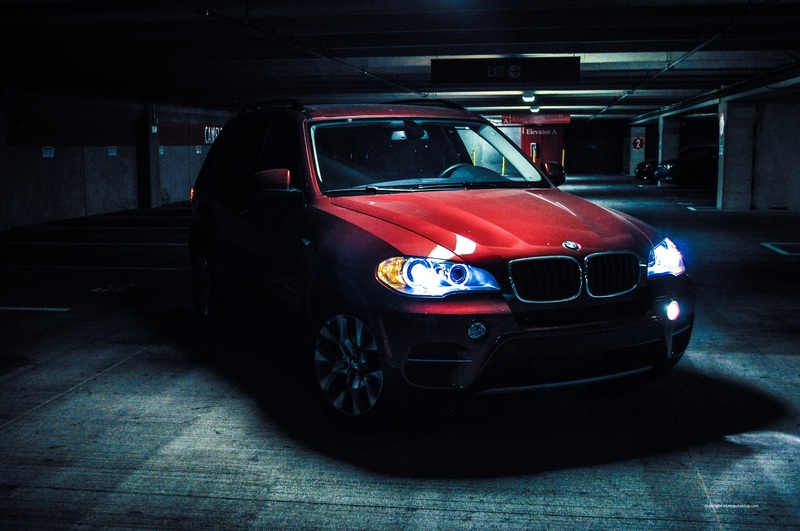 Given that the SUV market was clamoring for luxury SUVs, the X5 was a runaway success when it launched in 1999. 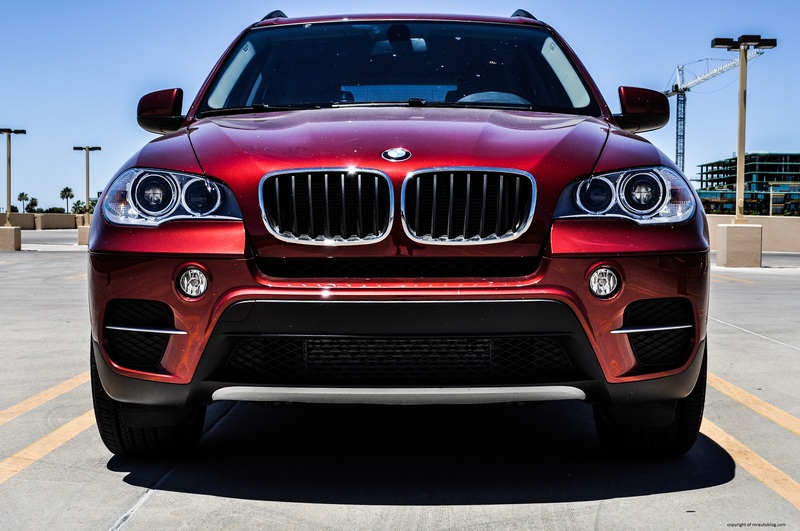 The X5 was praised for its sporty handling, quality interior, and its quick acceleration. 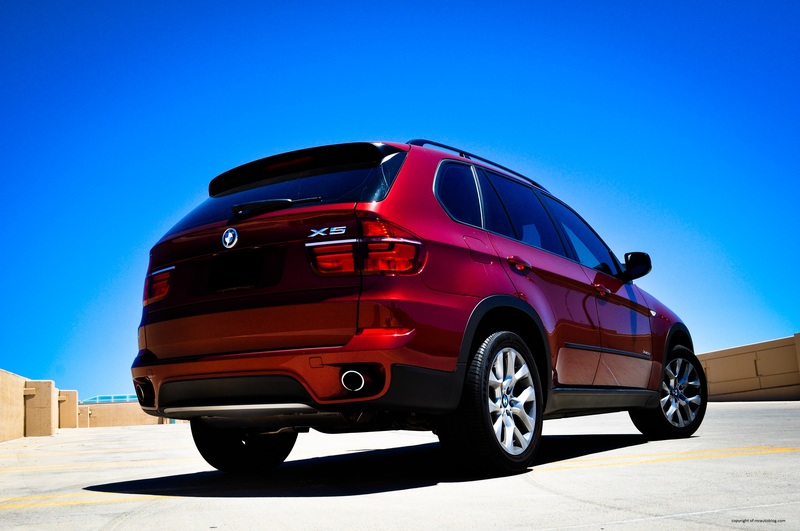 It was also the first and last X5 to be available with a manual transmission. 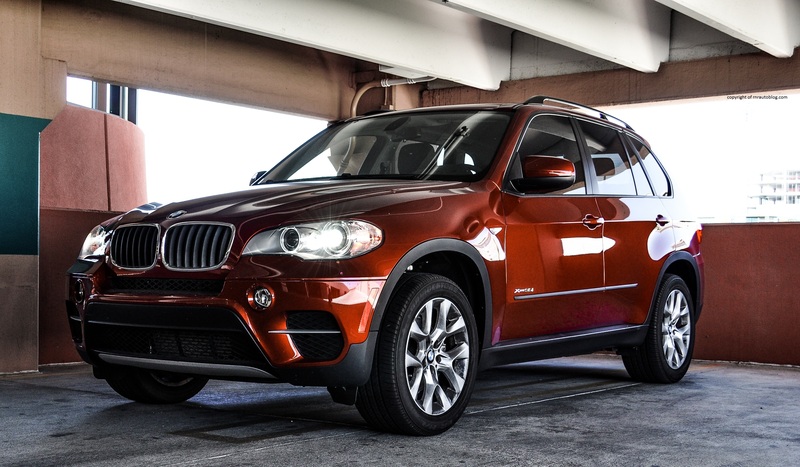 In 2006, BMW redesigned the X5, and unlike the first, this second generation utilized only BMW technologies. 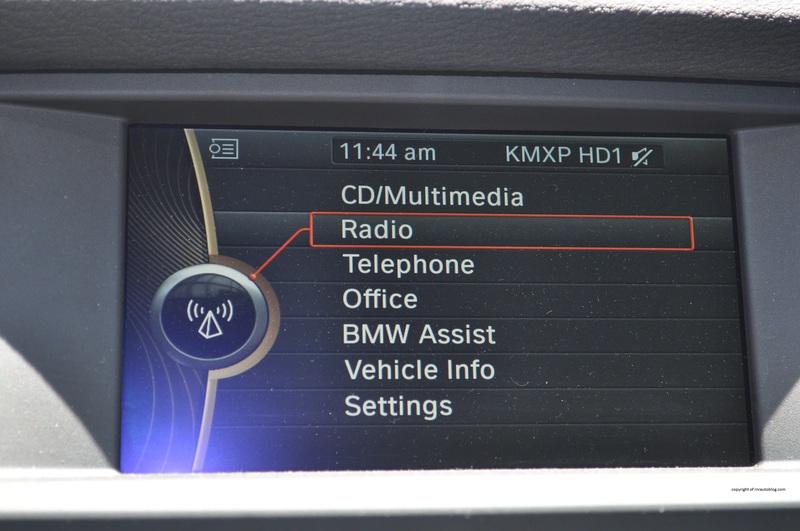 In BMW speak, the X5 underwent a “Life Cycle Impulse” (facelift) in 2011. BMW’s then designer, Chris Bangle, was criticized for designing the 5 and 7 series too radical, so extra care was taken to keep the X5 conservative in order to keep sales. The design consists of various sharp angles and concave surfaces. In the front, the bumper protrudes outward, but in the middle, BMW’s trademark kidney grille is set back. The fog lights are placed in a weird location, and I am on the fence about the brushed metal bar on the bottom of the bumper. The strips of metal in the air ducts of the bumper look awkward as well. The headlights are beautifully detailed, and the hood features subtle surfacing. The greenhouse (side profile) remains similar to the previous generation X5. Behind the second passenger windows remains another BMW’s trademark Hofmeister kink (the window line kicks upward abruptly). The athletic side profile is defined by a strong character line and subtle bulging fenders. The rear is the least interesting aspect of the design, and as with the front, the metal bar at the bottom of the bumper looks out of place. But when you look at the design as a whole, it is a good looking SUV, and the Vermillion Red Metallic is a gorgeous color. 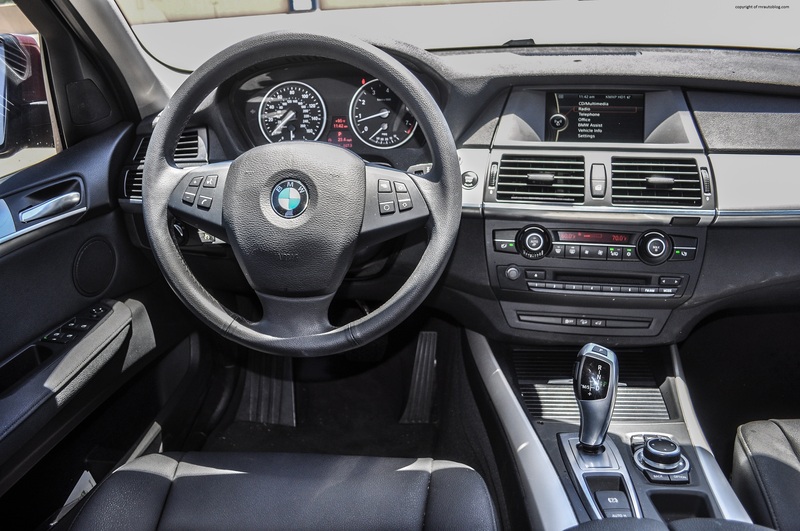 The interior is typically BMW with a businesslike decor and stark colors. 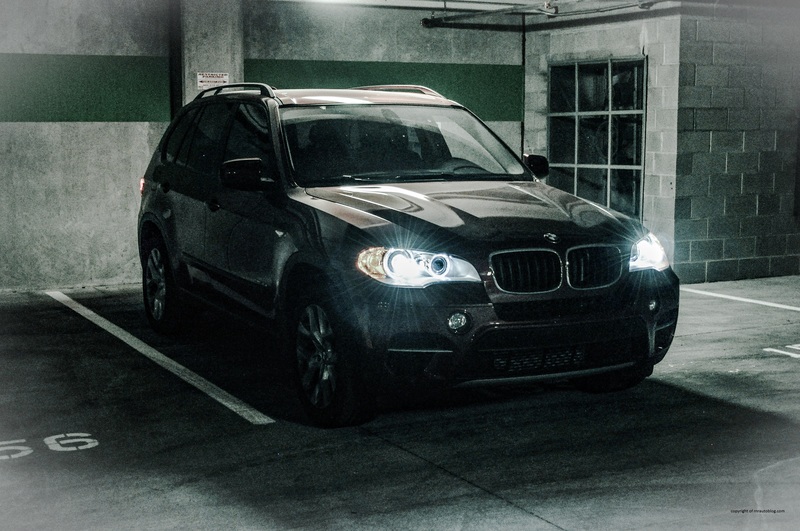 When the first X5 debuted in 1999, it was lauded for its handling, and this X5 builds on that. While it may be substantially heavier than the previous X5, the weight gain is not transparent. It changes direction quickly like a sedan, and it feels light on its feet. The X5 feels well sorted out when cornering; it remains planted and composed as it shrugs off midcorner bumps and dips. When parking, the steering is heavy, but it loosens up gradually. One thing I will say about BMW steering systems; they always manage to feel natural. The progressive weighting, the feedback, and the way the car responds to the driver, it all feels natural and not at all artificial. 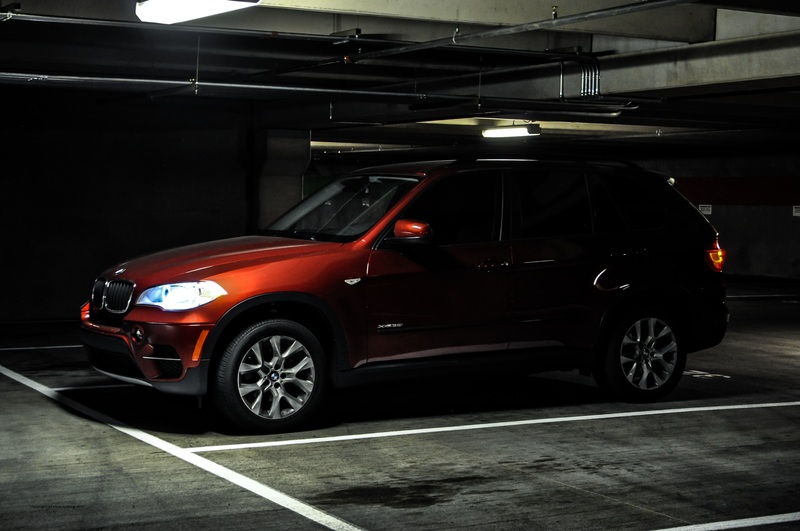 There are no unexpected responses, and the X5 will do its job diligently. Push hard, and it remains controllable with good tire grip and responsive steering. Many people have criticized the stiff ride, but it is tolerable. At low speeds, it is jittery as you can feel the bumps upsetting the cabin, but the ride becomes smoother at highway speeds. In a way, I prefer this suspension setup to a softer setup because you are able to feel the road not just through the steering but through the suspension as well. This version comes with run flat tires which worsens the ride quality. With a turbocharged 3.0 liter six cylinder engine pumping 300 horsepower, acceleration is effortless. The inline six cylinder delivers an unparallelled smoothness that is not found in V6s. Stomp the accelerator, watch the tach needle go upwards, and you will notice that power delivery is linear and brisk. The six cylinder engine utilizes a twin scroll turbocharger which reduces turbo lag, so it feels strong at all speeds. There is plenty of torque, so the engine does not need that much effort to pick up speed. The eight speed automatic transmission shifts well without delay. A 400 horsepower V8 was available as well a diesel engine option. Fuel economy is decent at around 18 mpg overall on premium fuel. If it weren’t for the run flat tires, refinement would be top notch. The run flat tires have reinforced sidewalls which prevent flats but it also worsens the ride quality and increases the noise. The tires are met with thuds and thumps on every surface, and it gets worse on coarse pavement. Other than that, it is hushed. The best part about the engine is the engine note. It sounds refined with a subtle turbo whine during normal driving, but at full throttle, it emits an invigorating growl. As expected, the cabin is beautifully trimmed, and high quality is present everywhere. The rotary controls and buttons turn and click with a satisfying precision, and the leather wrapped steering feels lovely to hold. The steering tilts and telescopes, so it is easy to find a good driving position. The gauges are a paragon of simplicity, and display all relevant data. The only reason I need to look at the gauges is to see how fast I am going, and how much gas I have. No fancy displays needed. 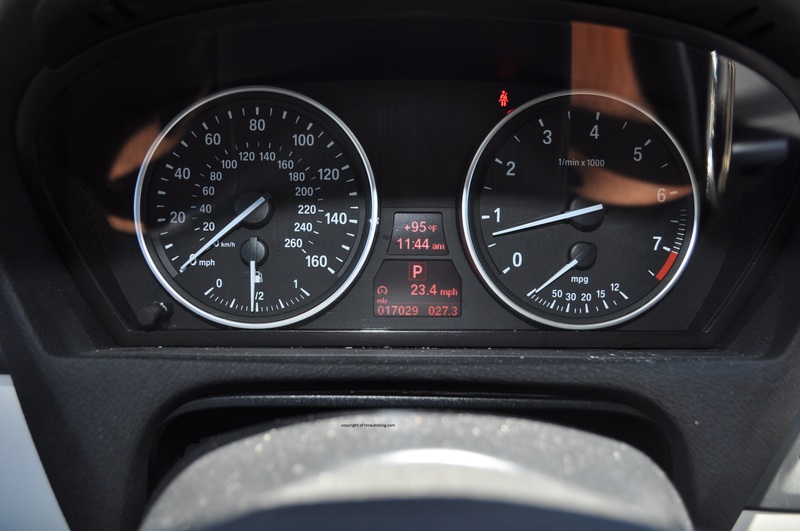 The BMW accomplishes this with just a tachometer, speedometer,and a fuel gauge. 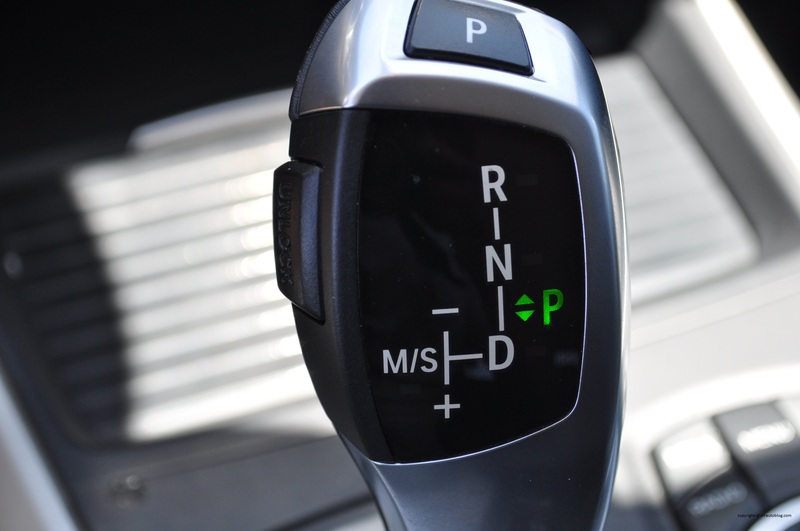 The gear shifter may look cool, but it is difficult to use. You have to push forward for reverse, and press a button to park. There was one incident when I thought I put it in park, but it was actually reverse. The controls are difficult as well. 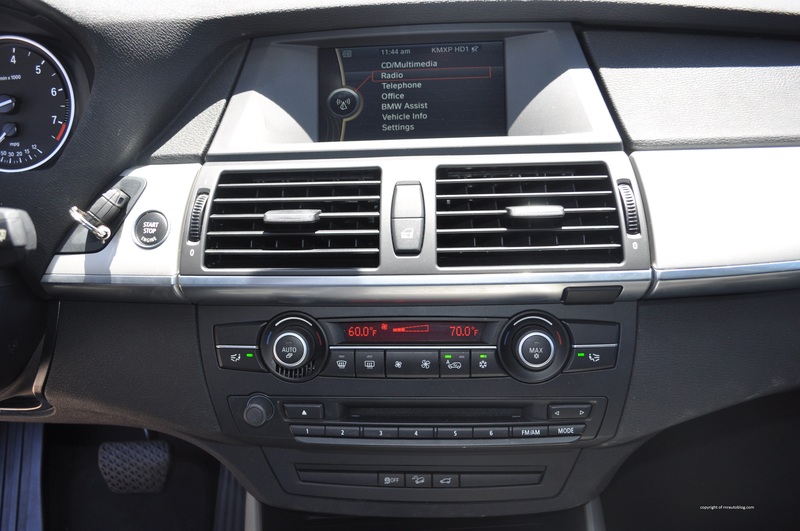 The climate control system works well, but my problem lies with BMW’s iDrive system. It uses a circular controller and hard keys located next to the gear shifter. While driving, I have to turn the controller to select a function, but sometimes it misses the intended function. As a result, I have to take my eyes off the road and ensure that I selected the right function. There is enough headroom and legroom in the front, although my leg kept brushing against the intrusive center console. Front visibility is decent, but the rear visibility is obscured by thick pillars. The rear is roomy as well. The leatherette seats give superb comfort, and a third row is optional. The cargo space is decent, but folding down the rear seats make it bigger. The rear tailgate splits into two, a novel feature that I wish more SUVs offered an feature like this. I have always loved BMWs, especially the ones redesigned before 2010. But I really did not expect to like the X5 as I always felt that the X5 was a soccer mom SUV that did not embody BMW’s “Ultimate Driving Machine” virtues. Of course, that was before I drove it. As a general rule, I dislike SUVs because they are less fuel efficient, less agile, and more expensive than sedans. 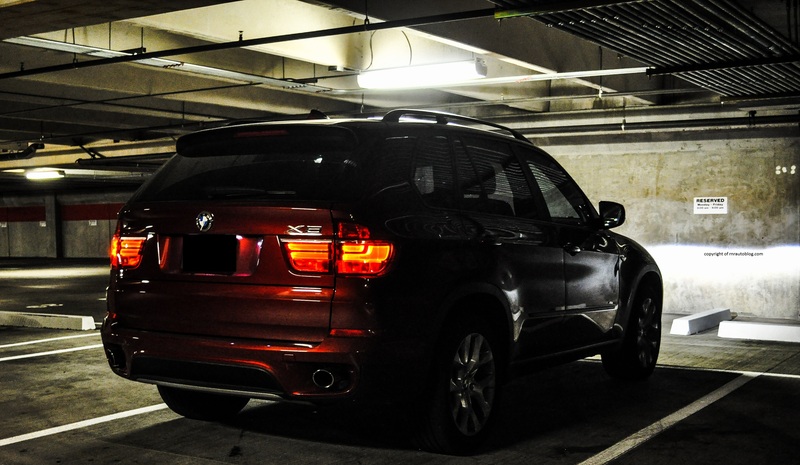 While the X5 is less efficient and agile than the 5 Series sedan it is based on, it still feels like a BMW. By BMW, I mean the older ones that always felt like they were engineered to provide driving enjoyment. 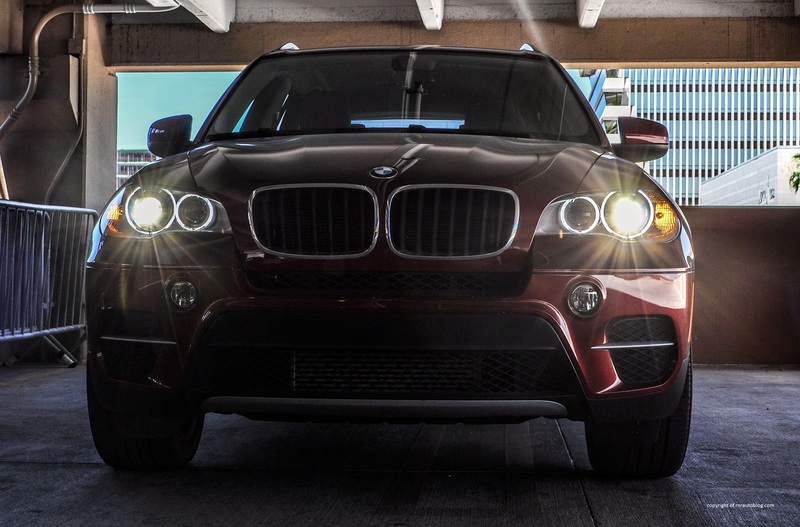 With a powerful turbocharged engine and great handling, the X5 is fun to drive. 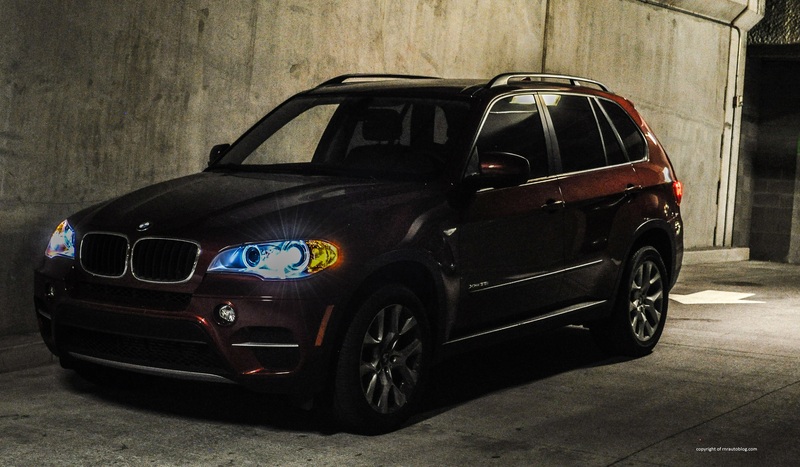 Even with a stiff ride and a noisy cabin, the X5’s handling, performance, and quality makes up for it. My relative in England has a 2007 or 2008 X5. She had a history of buying sports cars like a Mazda MX5 (Miata) and a Mercedes-Benz SLK, and she was looking to replace her Mercedes-Benz ML. I asked her why she picked the BMW X5, and she said it was because of the steering and handling. 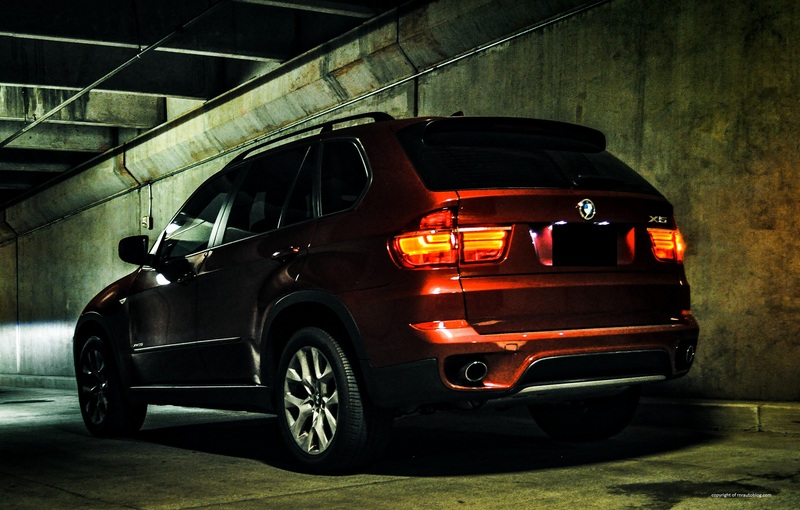 The X5 stays true to BMW’s dynamic virtues. 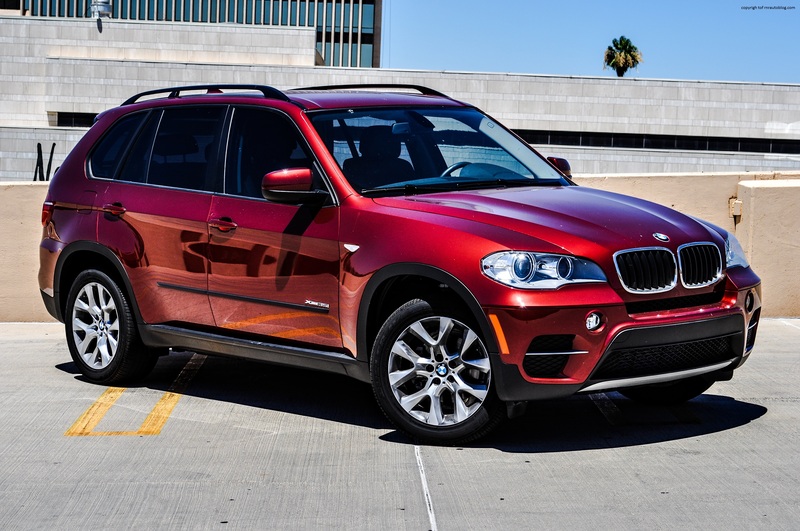 The fact that the X5 delivers on its all around competence makes it a winner.